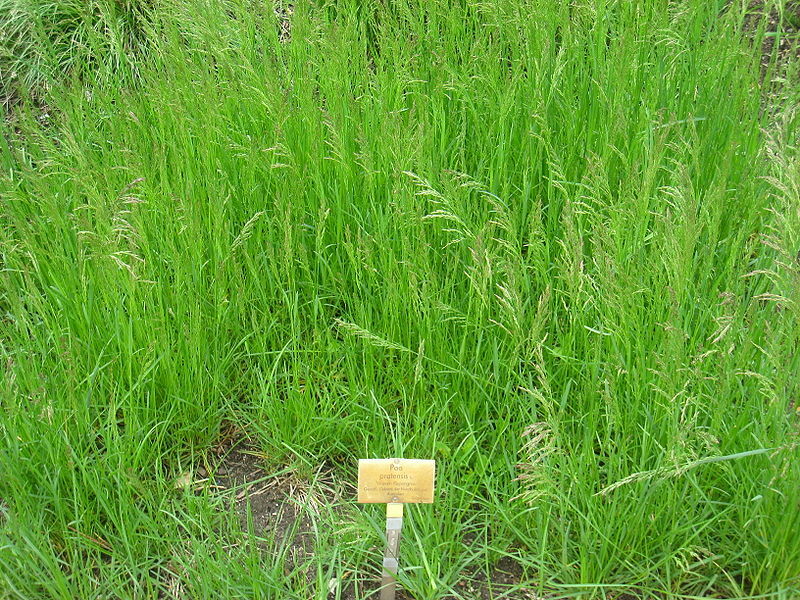 Poa pratensis.USDA-NRCS PLANTS Database.Hitchcock, A.S. (rev. A. Chase). 1950. 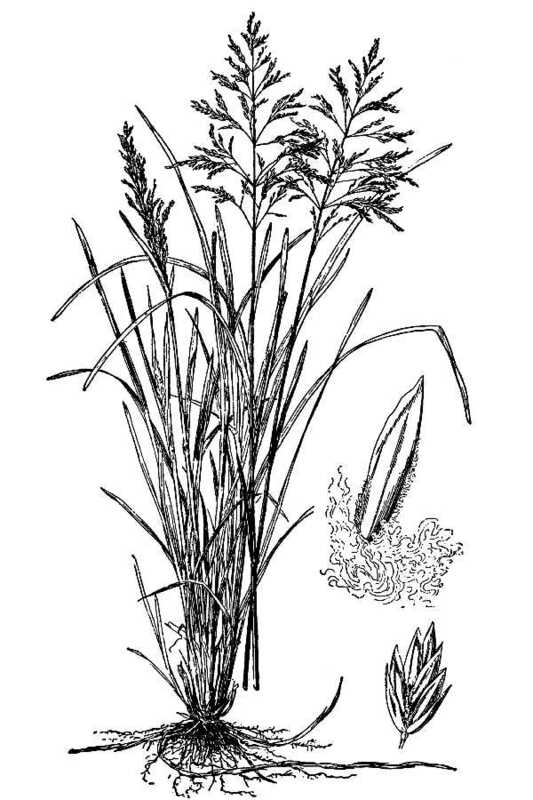 Manual of the grasses of the United States. USDA Miscellaneous Publication No. 200. Washington, DC (Accessed 5/2014). Poa pratensis is a perennial cool season C3 grass (Basinger 2002), flowering stems 30 cm 1 m; sod forming by rhizomes, also tufted in open areas; stems to 0.3 cm diameter, often bent at base, thin, smooth, pale, shiny; ligule membranous, to 0.1 cm long (shorter than wide). Leaves of basal tufts 15-30 cm long,, 0.3-0.6 cm wide, tip boat-shaped (keeled), stem leaves few, mostly toward base, to 0.5 cm wide (USDA, NRCS 2010). Flower spikelets 3-5 flowers, glumes 0.2-0.3 cm, lemmas webbed at base, hairy along edges.inflorescence egg-shaped, rather dense, fluffy, 4-5 branches per node; often purplish, Plants and seeds eaten by birds and mammals (Martin et al. 1951). Habitat: Lawns, meadows, roadsides in open areas, fill, soil pH 5-8.4; tolerant of fire; Intolerant of acid soils, drought, salt, anaerobic soil (USDA, NRCS 2010). More common in mowed lawns than natural areas. Notes: Plants eaten by rabbits (Martin et al. 1951). Becoming dormant in hot, dry weather. Attacked by numerous insects and diseases (USDA, NRCS 2010).